Despite having no criminal record and working papers, a 23-year-old “dreamer” protected under Obama’s DACA immigration order has been detained by immigration enforcement agents. Daniel Ramirez Medina was arrested on Friday after Immigration and Customs Enforcement (ICE) agents came to his father’s house. It is not known why they were seeking to arrest his father, but Ramirez was arrested as well despite having working papers through the Deferred Action for Childhood Arrivals (DACA) program. His arrest is the first involving recipients of DACA. Ramirez’s status within the DACA program was renewed meaning his status was reviewed and disclosed to the Department of Homeland Security (DHS) twice. 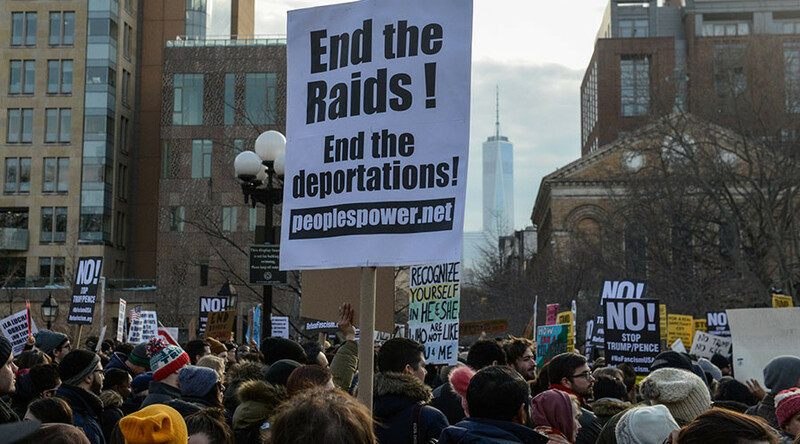 His petition, obtained by The Stranger, notes that DHS maintains a toll-free “Law Enforcement Support Center Hotline” for DACA holders who believe they have been unlawfully arrested. Ramirez’s attorney contacted the hotline but was told they could not help. Attorneys for Ramirez remain hopeful that his arrest was merely a blunder. “We are hoping this detention was a mistake,” Attorney Ethan Dettmer told the Guardian. His case is still being reviewed by the Justice Department. Ramirez is one of 750,000 DACA holders in the country. President Donald Trump claimed on Sunday that “Gang members, drug dealers & others” were being removed as a priority, and he has also made reassurances to DACA holders that they would not be at risk of deportation.